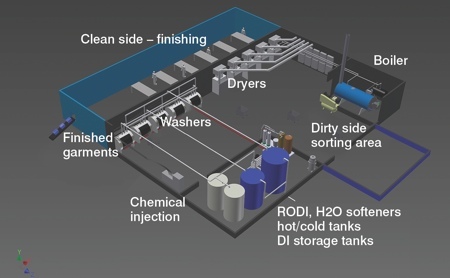 Traditional cleanroom laundries and other service centres that launder textiles, garments and related accessories worn in controlled environments are faced with high capital and operating costs, and have a significant sustainability impact (water, energy, chemical waste, discarded uniforms). These costs are in large part driven by the water-based infrastructure and processing steps that are needed to meet cleanroom garment standards. By replacing water-based methods with liquid carbon dioxide (CO2) based cleaning methods, the impact of operational costs, capital infrastructure and sustainability can all be significantly reduced – all while maintaining superior cleaning and disinfection standards. CO2-based textile laundering offers enormous potential to a variety of cleanroom and healthcare-related markets, including biotech, pharmaceutical, semiconductor, aerospace, medical device and nuclear laundries. Water scarcity is a growing concern. Worldwide demand for water is forecast to double in the near future, driven by population increases, industrialisation of developing countries and other factors. In the US alone water prices increased by an average of 6.7% during 2013 in 30 metropolitan areas, and by more than 25% since 2010. Worldwide, especially in arid regions, water costs are exploding and water quality issues remain problematic. For many cleanroom-driven businesses, these issues will have a dramatic impact on their ability to operate not only existing facilities, but also new ones. Using liquid CO2 as a primary cleaning solvent instead of water alleviates any issues where water supply, quality and cost are problematic. For end users this preserves critical water needed for core operations. Carbon dioxide is cheap, inexhaustible and readily available worldwide. 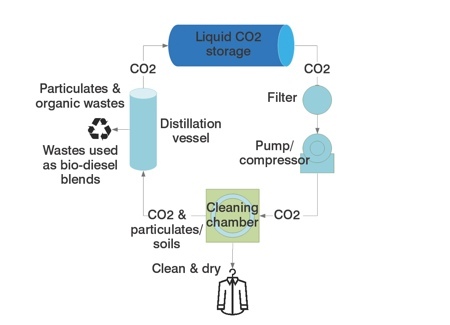 Cleaning textiles with CO2 is similar to traditional methods in so far as a liquid (in this case CO2) travels through the garments and removes dirt and other particles present. The material properties of CO2 lend themselves to superior cleaning and disinfection of cleanroom textiles compared with H2O. The extremely low viscosity of CO2 enables very effective filtration without pressure losses. Filtration is essential because once removed from the textile particulate soil must be filtered out of the system. Pressure losses in a water-based system translate into lower particulate soil removal and/or higher energy requirements to move the water through the filters. Finally, since the CO2 process requires no drying, there is minimal or no generation of particulates via drying. The result is a cleaner fabric and overall system, and a longer-lasting fabric (since it is not degraded via heat or drying). All of these benefits translate into savings. With CO2 cleaning, no water or hazardous chemicals are used in the cleaning process. The vast amounts of water typically required (approximately 300gal/1135 L to 600gal/2270 L per cycle) in a water-based process are no longer needed, thereby also eliminating any secondary waste stream as well as the costs of pre-treating, pre-filtering, heating, or recycling water. In a CO2 system, all waste removed from garments is captured on board – nothing goes down the drain. Depending on contaminants present, the waste can be up-cycled into new products, for example into biodiesel blends. Furthermore, more than 99% of the CO2 used for each cycle can be reclaimed and cleaned for use in subsequent cycles. At the end of a cleaning cycle the liquid CO2 is depressurised, thereby turning it back to a gaseous state (see Figure 1). Garments exit the cleaning chamber dry and cool to the touch. Because garments are already dry, no additional drying step is required. The result is a fast 20–25 minute dry-to-dry cycle time and substantially streamlined operations. This represents a 78% faster cycle time compared with the average 90 minutes required to wash and dry a garment in a water-based laundry. Pressurised CO2 processes have well documented disinfection and sterilisation capabilities. This is particularly interesting for sterile cleanroom garments. Because CO2 processing can reduce the bioburden present on garments, lower doses of gamma radiation are required to achieve the required sterility assurance level. Use of a CO2 process can, in fact, potentially eliminate the entire post-wash radiation step, thereby saving even more time and money for end users and service providers. 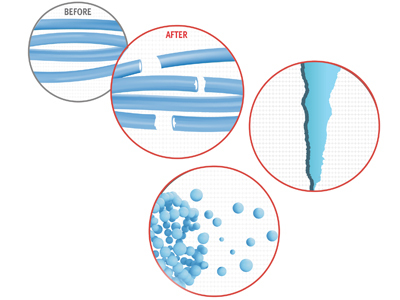 The unique and highly technical cleaning requirements for cleanroom apparel mean that water-based cleaning solutions require significant infrastructure, including deionised water and reverse osmosis systems, water softening systems, hot/cold water tanks, separate boiler and boiler room, underground water storage tanks, and adequate pipe water and sewer hook-ups. The result is a large footprint that demands high water, sewer and energy costs. Should a facility seek to increase its production volume it finds itself faced with hefty water, energy and sewage rates or even fines if usage is too high. 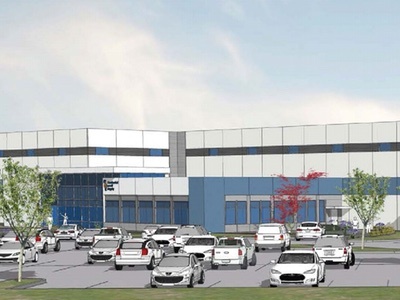 These requirements and the uncertainty that comes with entering new markets make it difficult adequately to size/permit new facilities up front or to expand existing operations. CO2-based cleaning offers solutions to all of these challenges. Because no water is used during the cleaning process, no water-related auxiliary equipment is required, no water and sewer hook-ups are needed, and no water- or sewer-related fees or permits are incurred. Since CO2 garment laundering is a dry-to-dry technology, the wash and dry steps are streamlined into one machine. Dryers, which can take up substantial floor space in a cleanroom laundry, are no longer required and energy consumption is dramatically reduced. 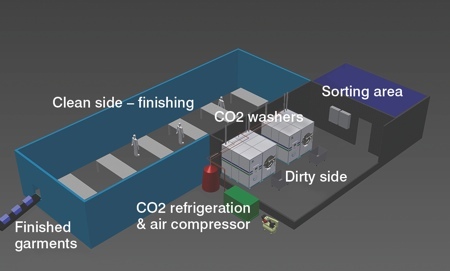 The final result is a CO2-based cleanroom laundry which has considerably less equipment to maintain, fewer operational expenses and a significantly smaller footprint compared with a water-based laundry. Due to its unique cleaning properties, CO2-based cleaning via a barrier (pass-through) style system is ideal for coveralls, cleanroom suits, boots and other items in the cleanroom apparel market. In a water-based laundry garments experience high mechanical and chemical wear (fabric particulation) from water and detergent washing, high temperature drying, and high irradiation doses. The result is a limited lifespan of garments. Frequent garment replacement translates to higher cost for the service provider or garment owner. In comparison, CO2 garment cleaning is a gentle process involving low mechanical action and no heat, resulting in longer garment lifespan and reduced garment replacement costs. Because of its gentle nature CO2-based laundering does not degrade any barcode or RFID labelling. Garments experience less dimensional change, and less damage to coating or finishes. Carbon dioxide is naturally lipophilic: it bonds with fats, oils and other lipids present – the main components of body oil and sebum, which are present on all soiled cleanroom garments. This makes CO2 an ideal candidate for removing such oils. Three main specifications govern cleanroom garment laundering: particles, electrostatic discharge (ESD) and microbiological activity. Particle counts were found to be 60% lower compared with a typical water-based system. ESD values for CO2-based cleaning are on average two orders of magnitude above the industry standard required threshold (1.0 x 105 – 1.0 x 1011 ohms). And garments washed with CO2 were found to have bioburden counts on average 25% lower than established thresholds. CO2-based garment solutions offer durable, broad-reaching solutions that have superior cleaning performance. In conclusion, CO2-based garment processing aligns with corporate social responsibility mandates, offering high performance cleaning with a low sustainability impact. The performance and sustainability benefits of CO2 cleaning translate into direct economic savings. 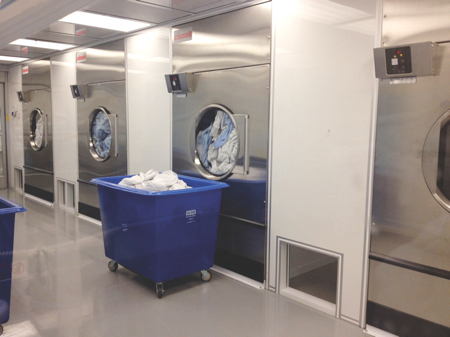 Combined with lower operating expenses and an easy set-up in existing and new laundry facilities, CO2-based cleanroom garment cleaning is a more economical choice over traditional water-based methods. Higher achievable cleaning performance characteristics open new market opportunities for service providers. 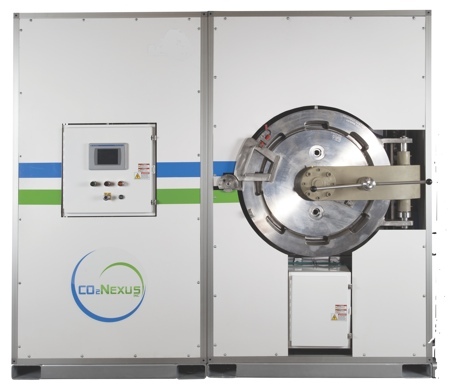 CO2-based solutions are poised to revolutionise the entire cleanroom garment laundry industry.